We created Urban Pie because frankly, the frozen pizza aisle was boring and lacked a great tasting, uniquely topped, cleaner option. With Urban Pie you don’t get a ‘Cheese’, but a pizza layered with eight cheeses and a creamy Alfredo sauce. Skip the mundane ‘Margherita’; our Pesto is topped with fresh mozzarella and cherry tomatoes. All of our pizzas offer thoughtful ingredients including rBST free cheeses, antibiotic free meats, and no artificial colors, flavors or preservatives. Your palette has grown up. It’s time your frozen pizza did too. Looking for unique flavors and clean ingredients? 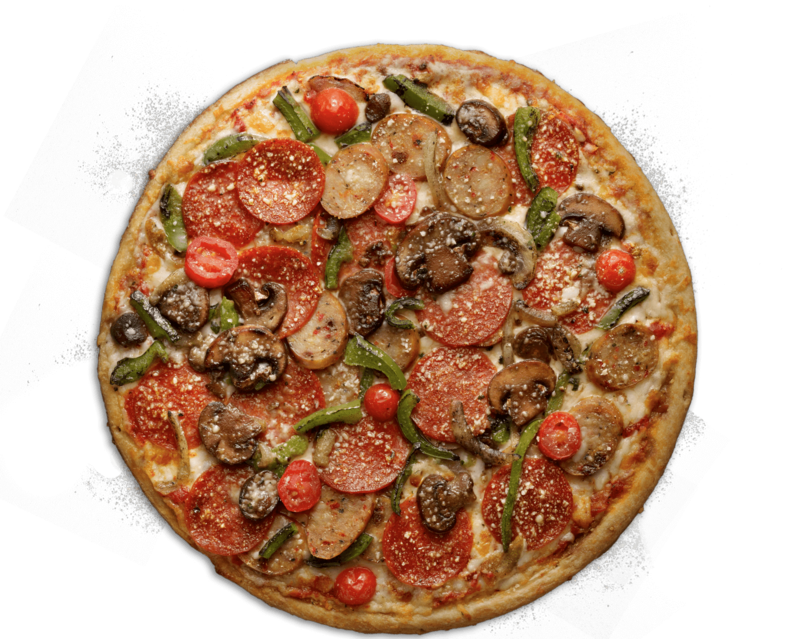 Enter your zip code to find an Urban Pie Pizza retailer nearest you! Look like a better artist than you are without getting clouds of chalk dust on your slice!